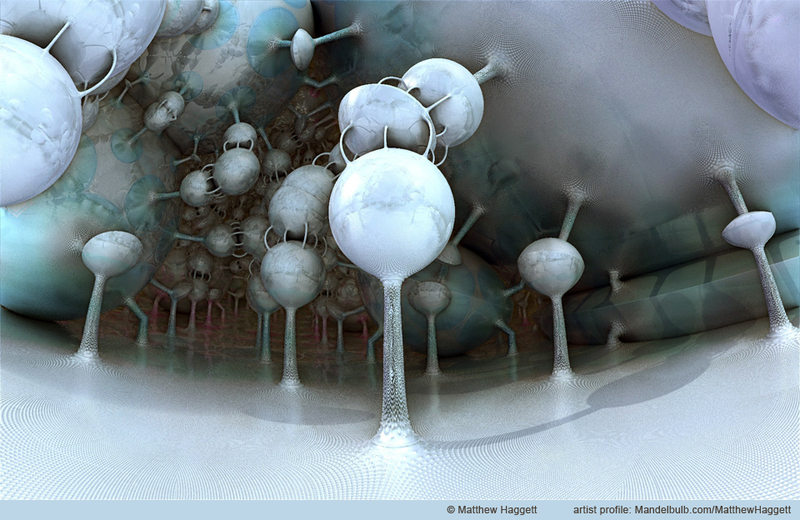 About: Matthew, a longtime artist and designer, has been exploring 3D fractal art since March of 2012. 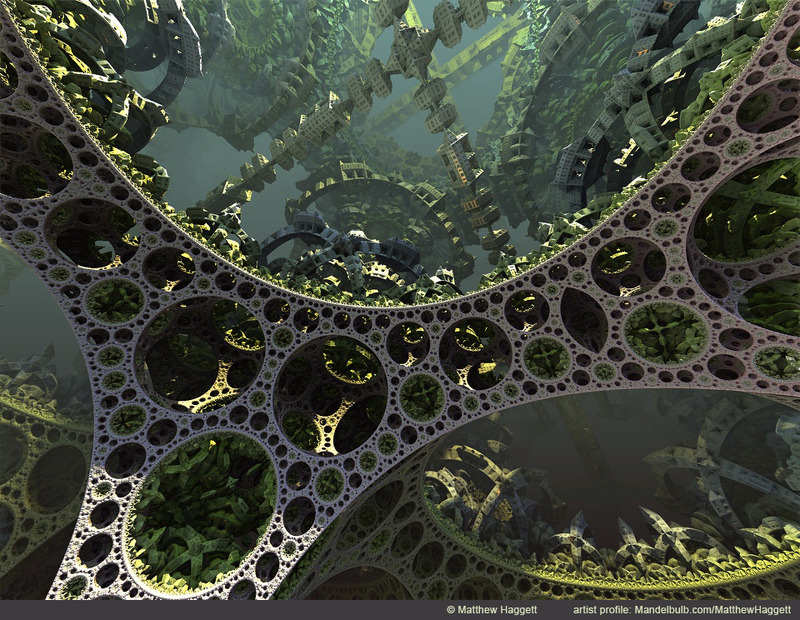 He was a competitive mathematician in high school, and has been a fractal geometry enthusiast since the late 1980s. 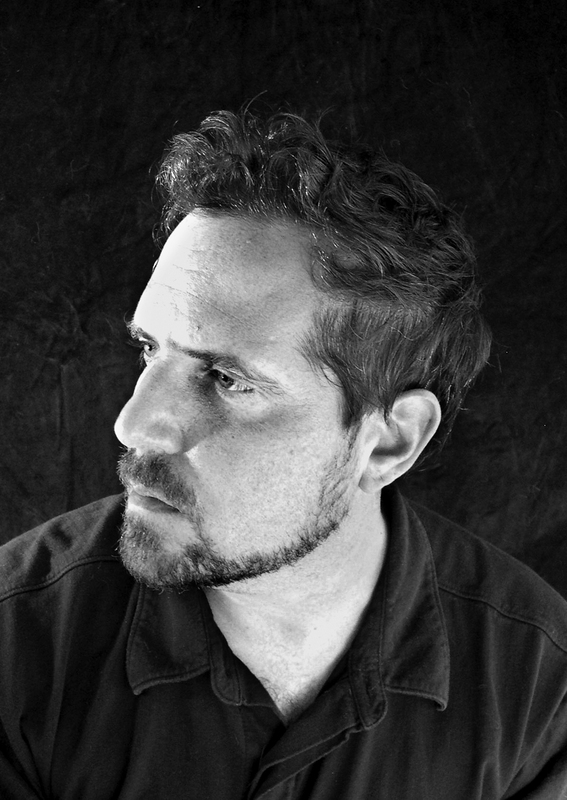 With BA and MFA degrees in art and regular solo shows, Matthew has been a staple of the Portland, Oregon art scene since the 1990s. 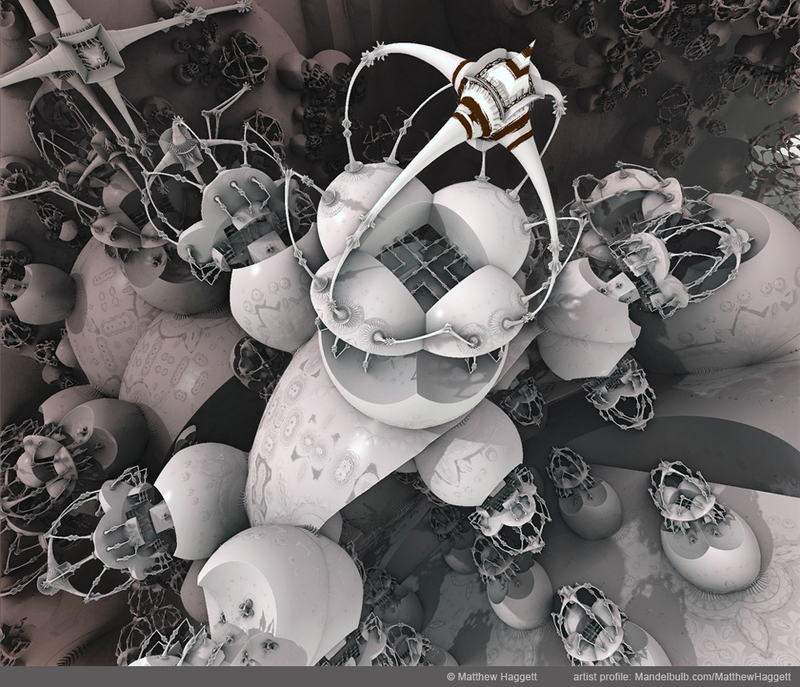 Matthew works in Mandelbulber and MB3D, with image mastering in Adobe Photoshop. 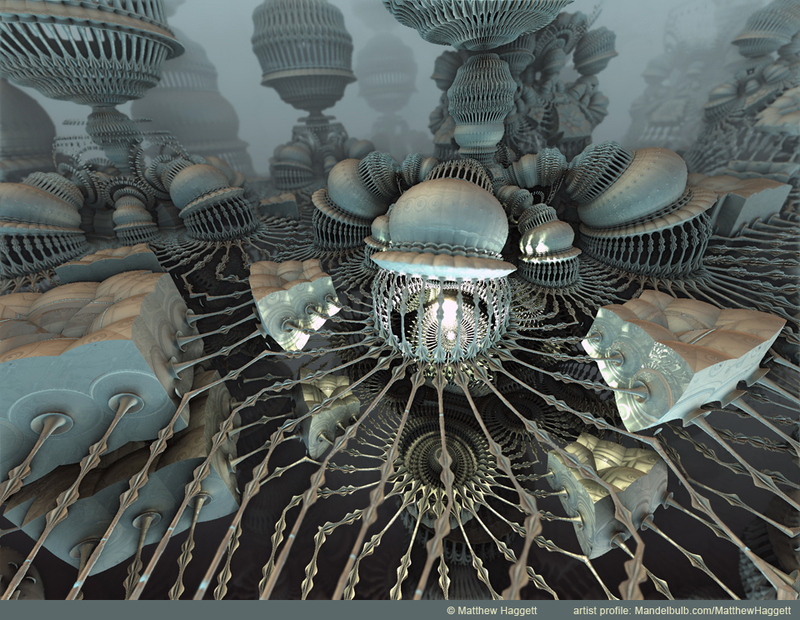 In his 3D fractal art, he uses the same compositional techniques from his paintings to create dynamic, visually engaging images. 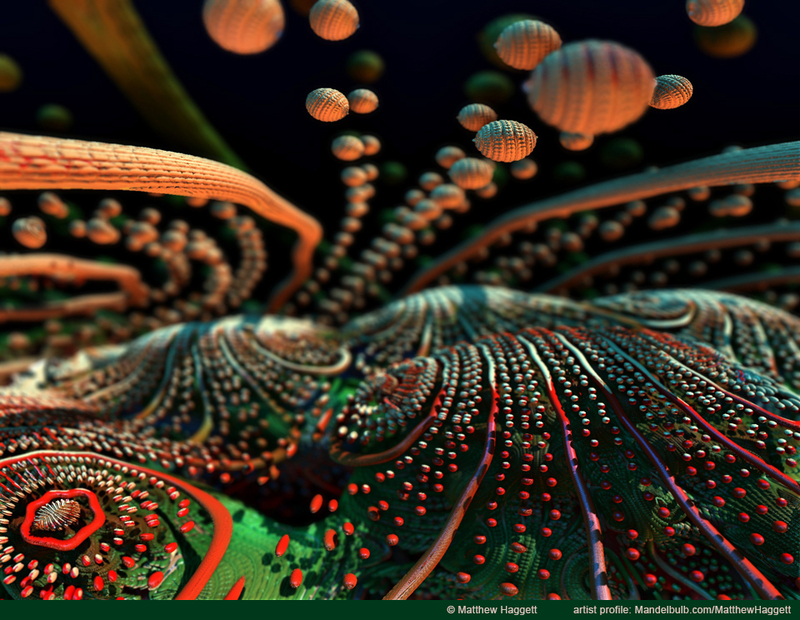 A synthesis of math and art principles, his explorations of 3D fractals take some very interesting turns. 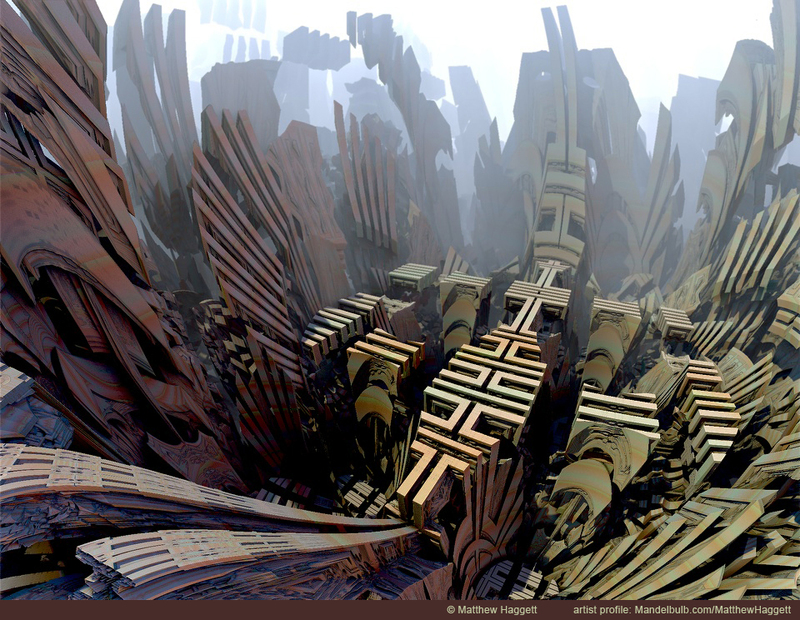 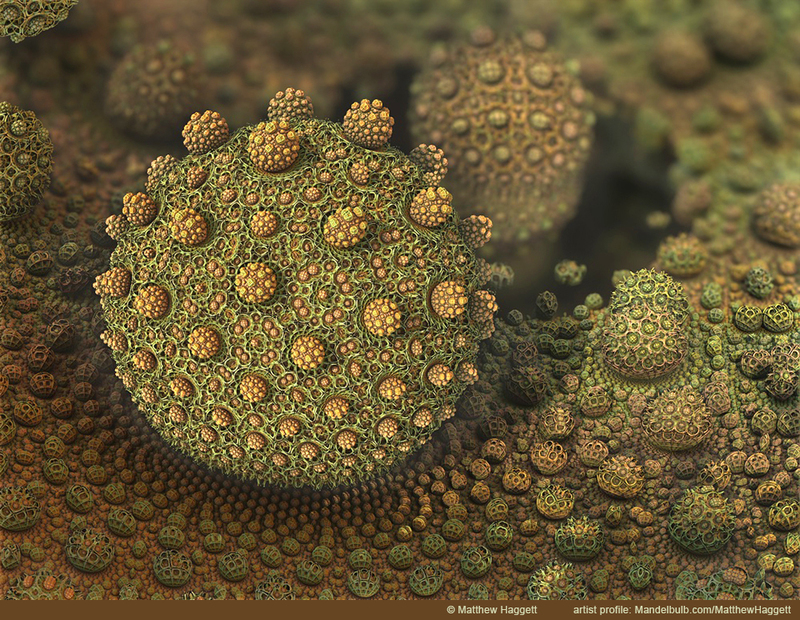 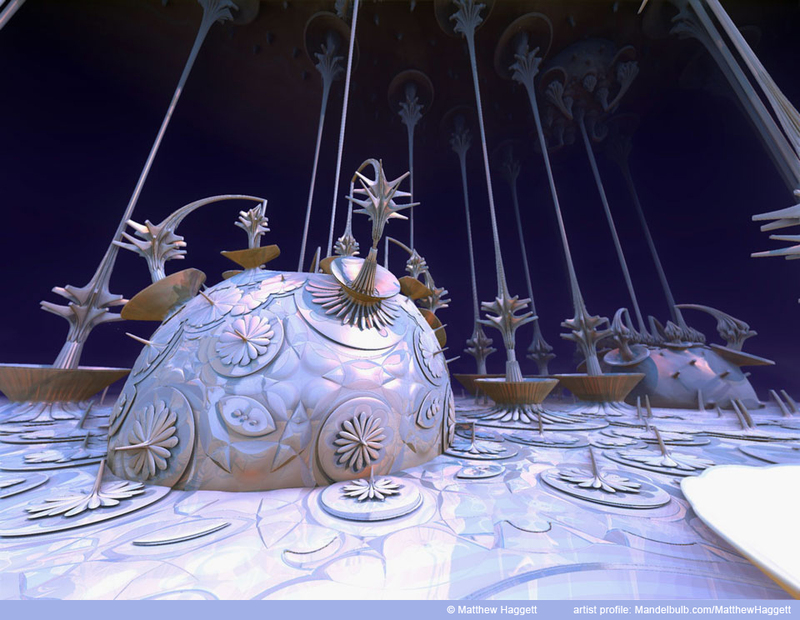 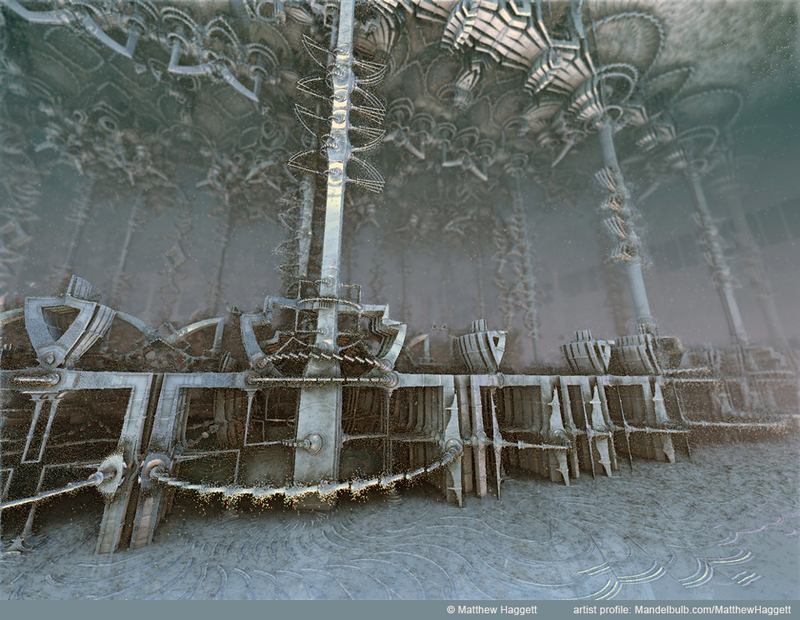 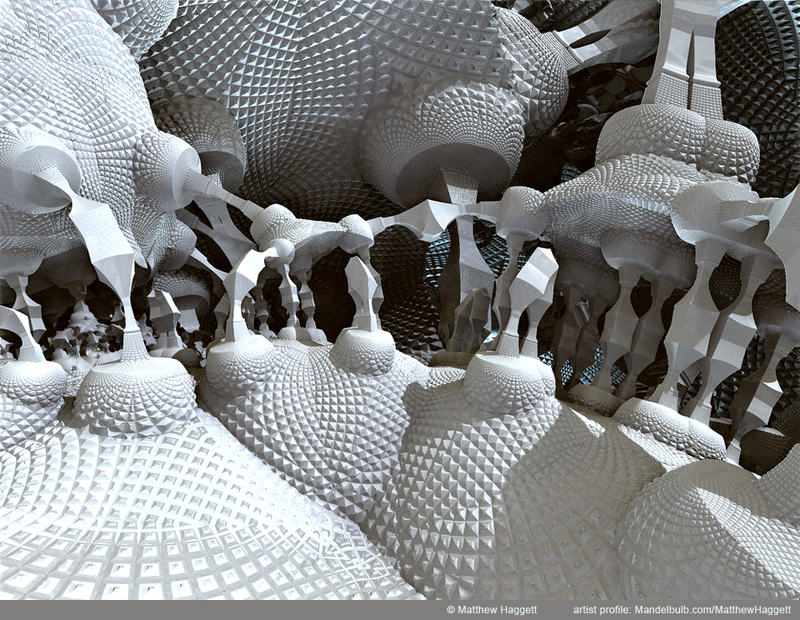 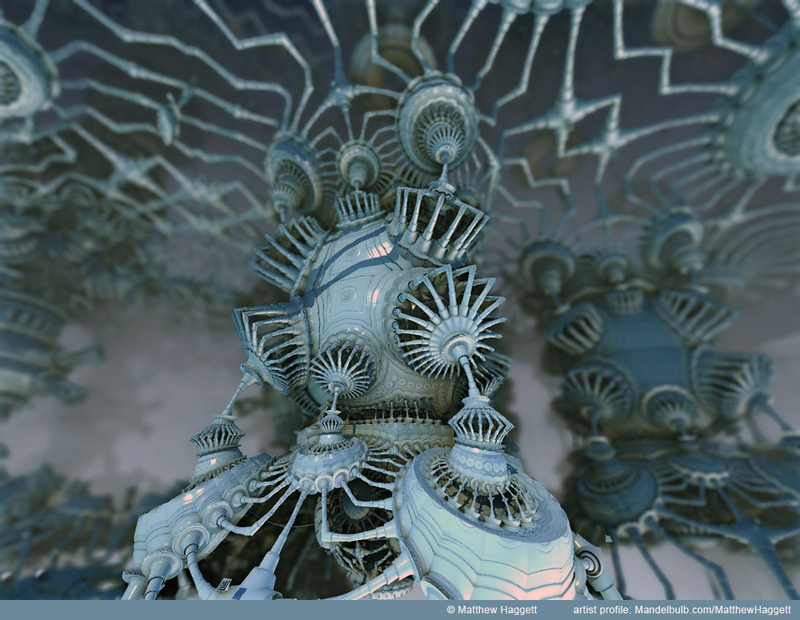 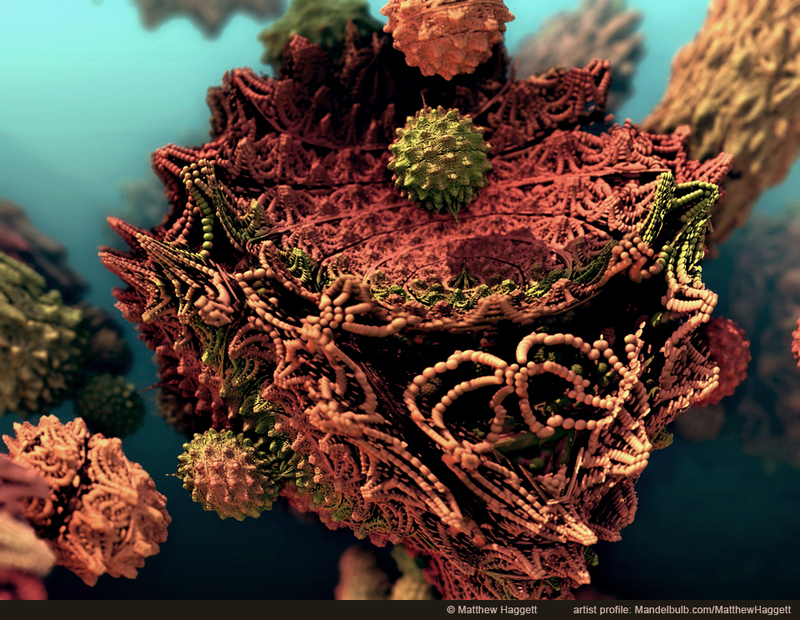 The following images were created with Mandelbulb 3D (MB3D) from Nov, 2013 through Jan 2014. 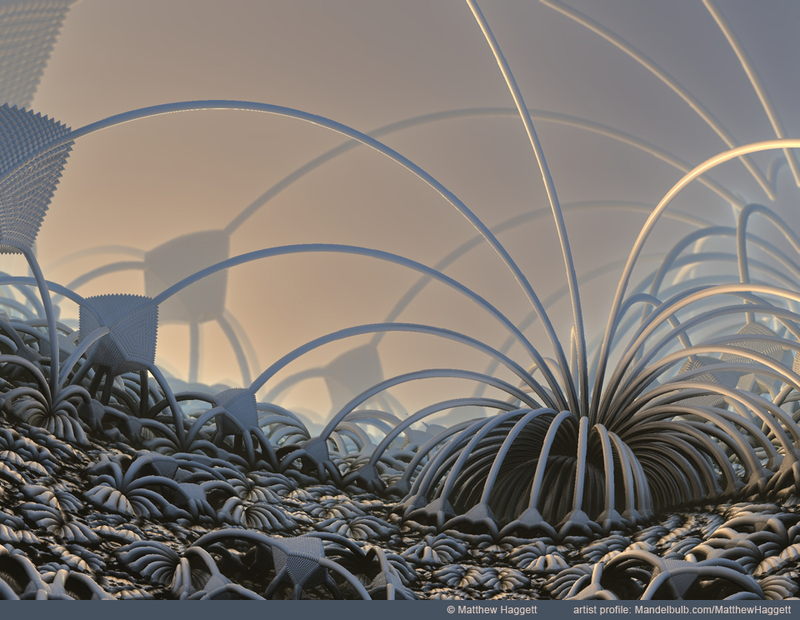 Thank you for creating this powerful program. 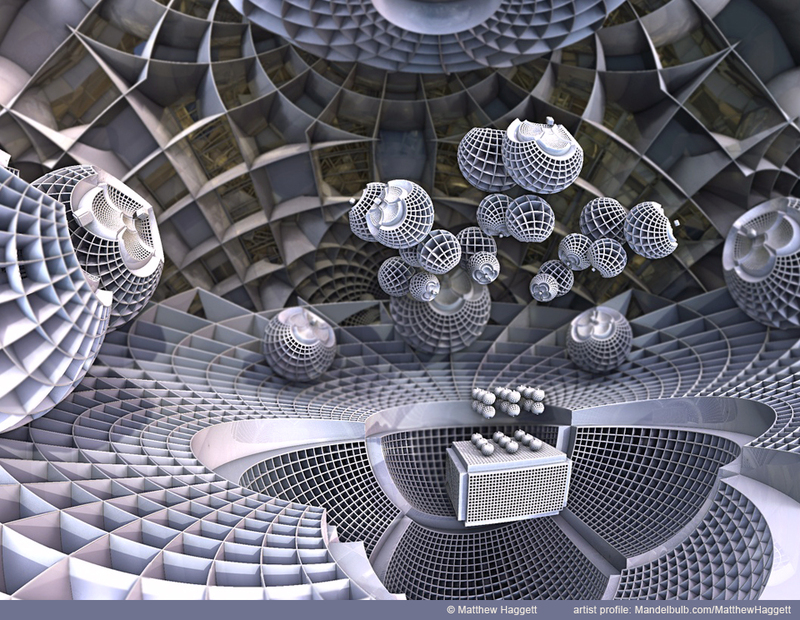 I only wish some more of your params were available. 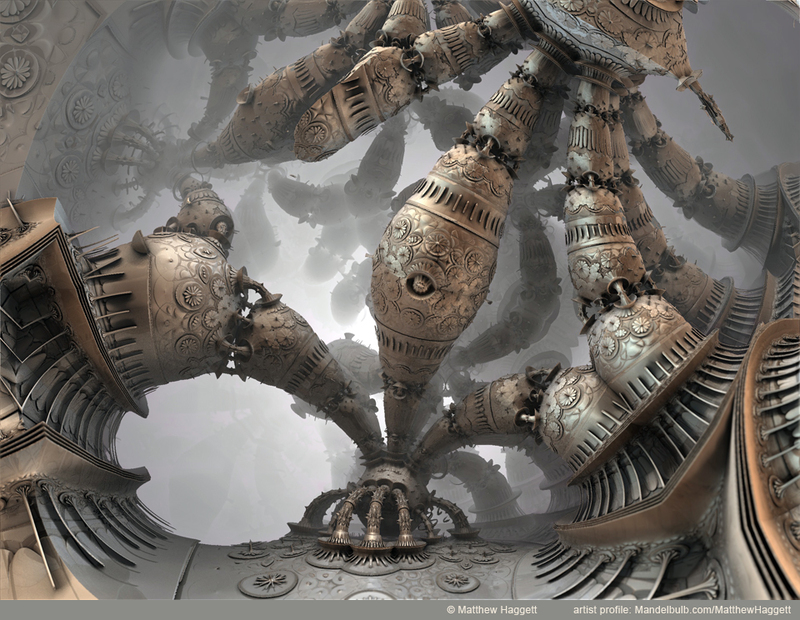 The creator of Mandelbulb 3D is Jesse from Fractalforums.com There will find updates, new formulas and many skilled and talented artist! 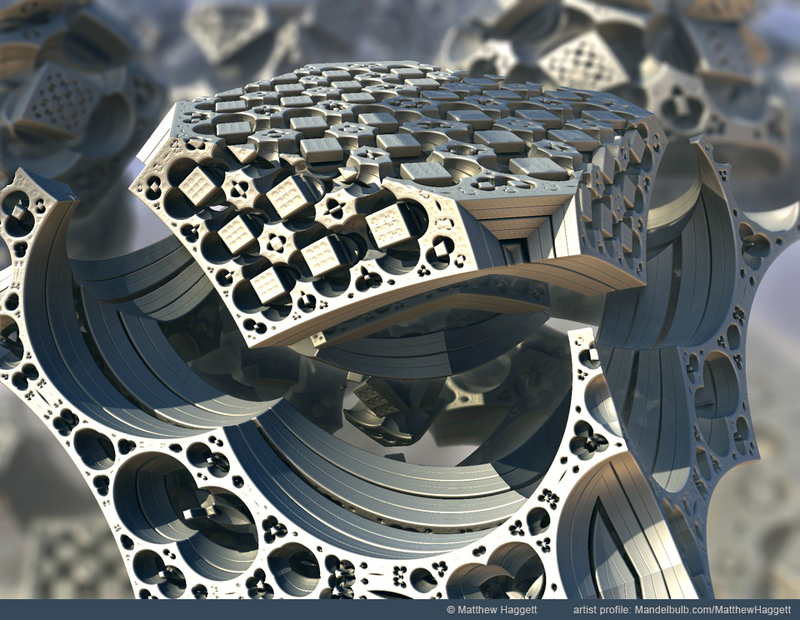 For a great resource for parameters, may I suggest ! 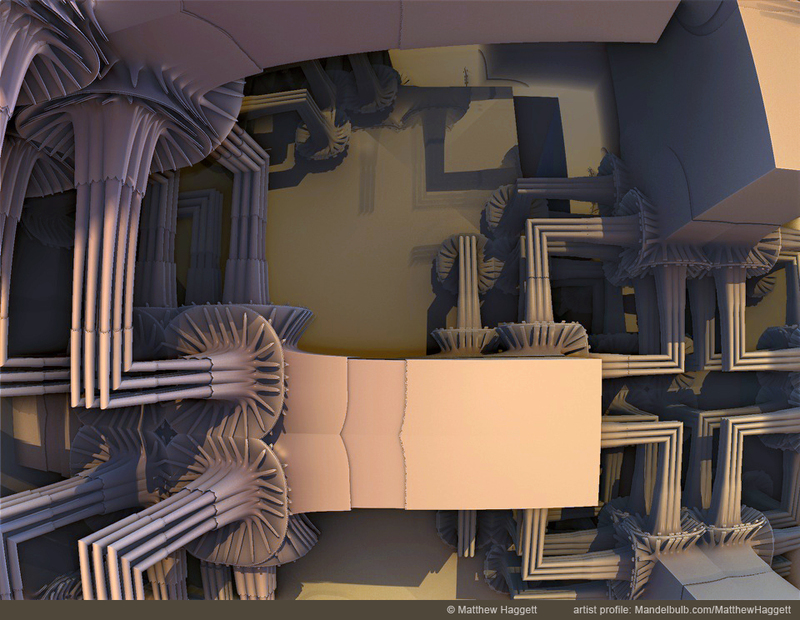 There you will find over 1000 parameters to explore! 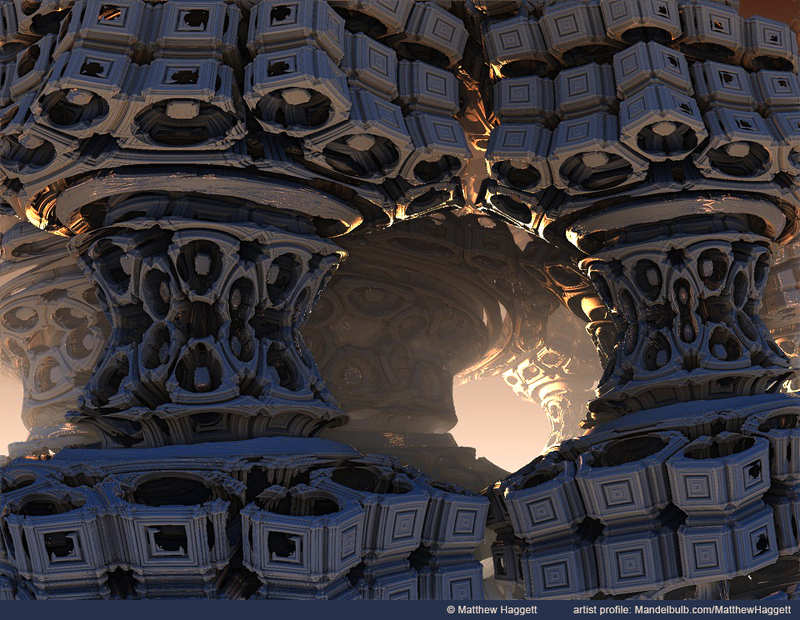 As always, we ask that you give credit to the original artist if you use their parameters!